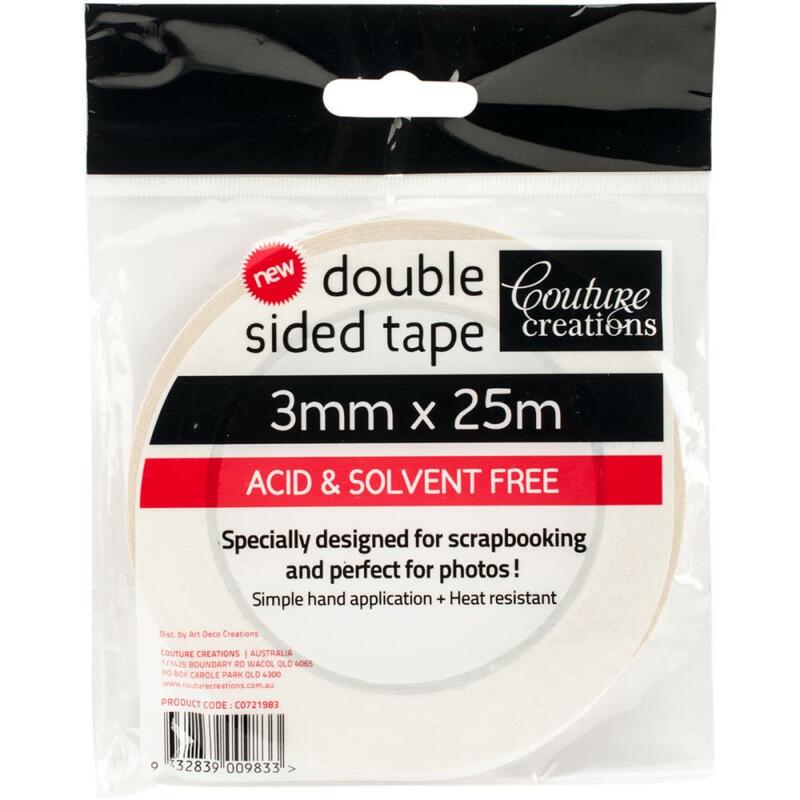 Couture Creations-Double Sided Tape. This tape is perfect for scrapbooking, photos and more! This package contains 25m of 3mm wide double-sided tape. Imported.